Happy Hour from 4 - 8PM. 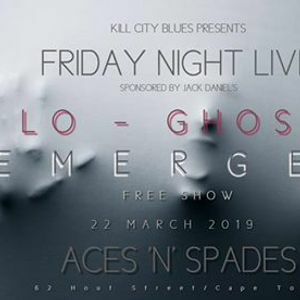 Lo-ghost is an alt-pop duo from Cape Town. Comprised of Evan Strauss and Shannon Devy, the dual-fronted electronic outfit explores themes of love, loss and the human condition through dark synthesis, deep and danceable electronic beats, and powerful vocal performances. Their fiercely honest song writing utilises accessible pop sensibilities to deliver an affecting and impactful set with a unique and memorable sonic signature. Lo-ghost released their first full-length album, “There’s Blood In My Body and It Sounds Like This:” in July 2017 after entering the scene mid-2016 with a stunning debut video release for “Ghost in a Blood Machine”, the lead single off their debut EP “Mother”. The video, which addresses issues of internalised homophobia, presents a poignant and heart-breaking narrative of the interplay between love and shame, performed and choreographed by Chester Martinez (FKA Twigs, “Honey 2”) and Devon Marshbank. The work was picked up and featured by media outlets across the continent. Soundscapes of dreamy, electronic melodies, cinematic progressions, powerhouse pop vocals, and punchy hip-hop inspired beats – this is the sonic palate of alt-pop duo EMERGER. 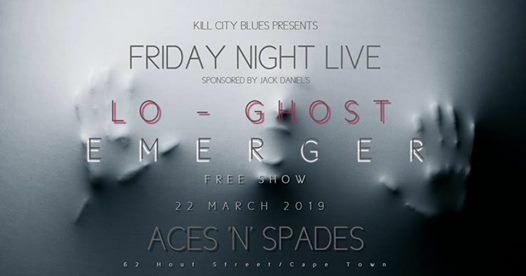 Emma de Goede (lead vocals / pianos) and Gerrit Matthee (guitars / pianos / synths / vocals / production) formed EMERGER while studying music together at the University of Cape Town. Before their recently released debut EP, Bloom, the two had already collaborated on several projects. They’ve been in the music scene for almost a decade as successful individual performers, and also as members of other award-winning groups. However, EMERGER is the first time where Emma and Gerrit have been able to take full creative control and put their artistic stamp on a body of work. As musical professionals, EMERGER is the culmination of many years of experience in the music industry and together, Emma and Gerrit’s abilities fuse to create a truly captivating sound. The duo has always known, since meeting at school over a decade ago, that they wanted to work together on a project. They knew that Gerrit's ability to craft catchy, orchestral melodies was something that would complement Emma's vocal tone and lyrical aesthetics. In 2015 and 2016 they completed their BMus degrees - Gerrit graduated with a BMus in Classical Composition and Emma with a BMus in Jazz Performance. During this time, while honing their craft and refining their sound, they placed EMERGER on hold until they could give it the attention it deserved. To finish the rest of the EP they took a three-month focused writing trip to De Kelders in the Overberg, a coastal South African town with enough inspiration-inducing scenery to last a lifetime. Here they got a deeper understanding of what it was they wanted to write about: nature, nostalgia, existential angst, and human connection. They returned home with what ended up being the core material for their debut release. They spent the latter part of 2017 recording and producing the songs they'd written. 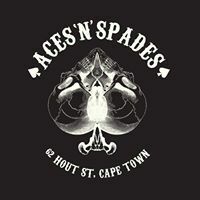 While finalising the EP, they were also able to work with amazing, industry specialists, including producers and mixing engineers such as Johnny De Ridder (Die Heuwels Fantasties, FPK, Francois Van Coke) and Dave Langemann (Freshlyground). Working from Gerrit’s studio in Cape Town, they meticulously crafted their seven-track EP, Bloom, and finished it off by going back to Abbey Road Studios for its mastering. The duo will be performing live towards the end of the year, and will be spending time in studio, finishing additional original material and working towards the release of their debut full-length album.